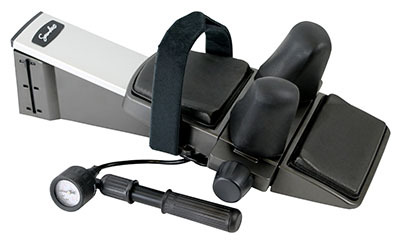 Saunders cervical traction devices are designed to provide safe and effective traction. Saunders Home Traction units come in a variety of products such as the Cervical Traction - HomeTract and the Saunders Lumbar Traction. These devices provide pain relief from pitched nerves as they decompress the cervical spine.